Digg is a popular social news website that allows users to vote for the web content up or down. The company launched their own online reader application called Digg Reader and this will be an alternative to Google Reader. Google shuts down the Reader service, so all of the RSS readers are migrating to other service like Feedly. I have already listed all alternatives to the Google reader here. Digg Reader comes with a simple clean look and it has basic and minimal options like adding feeds, viewing stories with list view and full view. And there is option to import your Google reader data to Digg reader to read your favorite stories. They are planning to add some more options listed below. 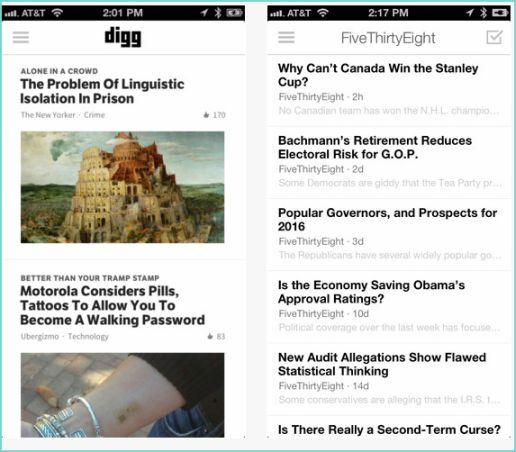 Digg also released Reader app for iOS and it is available in iTunes store. They are now developing more features and the Android application will be launched soon.